Of course, everybody needs a flash for their DSLR right? Well, most everybody. 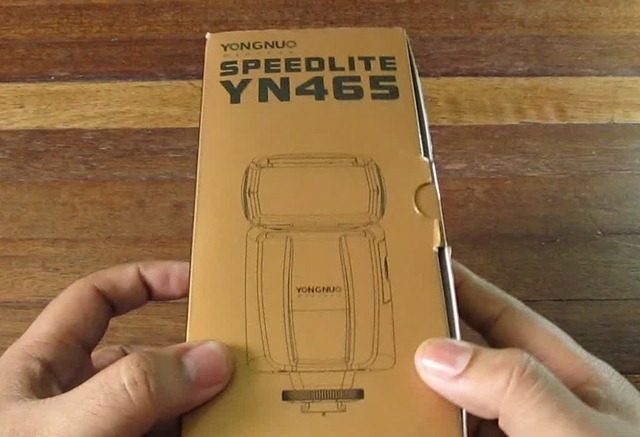 So naturally, we went out to pick up one of these: the Yongnuo Speedlite YN465. Of course the YN probably means Yongnuo, so let’s just call it the Yongnuo 465. This model is the Shenzhen company’s first TTL flash (they usually make strobe manual flashes) and this model has a version for both Canon and Nikon. (Sorry Minolta, Sony, Pentax, and other mount users.) Its definitely one of the cheapest TTL Speedlites you can find at the relatively low price of PHP 3,600 – and it performs pretty well with the Guide Number of 33. (Price based on where we got it – cheapest we found.) Based on tests online, we found that it had almost the same range as the Nikon SB600 & 700, but don’t quote us on that fact. Anyway, the unboxing and details on where to get one is after the jump! When we can, we’ll post some sample images with the flash used and without it. But for now, just settle for the unboxing and our first couple of trial shots. If you own a DSLR and you don’t have a flash due to budget constraints, this is a very good option. We bought ours from one of our favorite camera gear sellers here. You can definitely find them elsewhere, but this is the one we got ours from and probably one of the cheapest you can find. Grab one and tell them we sent you. Why? Because maybe they’ll work us into a discount next time. Hey, one can dream right?